Welcome to our Introduction to Historical Revisionism! In the following text you will find the questions which are most frequently asked about Holocaust Revisionism. You will find our answers by simply clicking your mouse on the question. We also offer a leaflet for free download which summarizes Holocaust Revisionism in a nutshell. This is the perfect flyer for a brief introduction and as a handout to others. Castle Hill wishes you a lot of worthwhile discoveries while browsing through the following page. What is meant by "The Holocaust" or "Shoah?" Whatever the circumstances, don't Jewish victims deserve respect and compensation? The word "Revisionism" is derived from the Latin word "revidere," which means to view again. The revision of long held theories is entirely normal. It occurs in the natural sciences as well as the social sciences, to which the discipline of history belongs. Science is not a static condition. It is a process, specifically the creating of knowledge by searching for evidence. When ongoing research finds new evidence, or when critical researchers discover mistakes in old explanations, it often happens that old theories have to be changed or even abandoned. By "Revisionism" we mean critically examining established theories and hypotheses in order to test their validity. Scientists need to know when new evidence modifies or contradicts old theories; indeed, one of their main obligations is to test time-honored conceptions and attempt to refute them. Only in an open society in which individuals are free to challenge prevailing theories can we ascertain the validity of these theories, and be confident that we are approaching the truth. For a fuller discussion of this, the reader should acquaint himself with the essay by Dr. C. Nordbruch in the Neuer Zürcher Zeitung of 12 June 1999. When we are dealing with the distant past, even a small piece of new evidence can profoundly change our views. As for the recent past, the truism "the victor writes the history of the war" still holds; and victor is hardly ever objective. Revision of victor-history is usually not possible until the confrontation between victor and vanquished has ceased to exist; and sometimes these confrontations last for centuries. Since historiography has negligible monetary significance, almost all historical institutes are financed by their respective governments. Free and independent historical institutes are practically nonexistent. In contemporary history, in which individual governments have huge political interests, we must be skeptical toward the official historiography. Another truism reminds us that "he who pays the piper, calls the tune." These reasons explain why Historical Revisionism is important and why the rulers of the world tend to oppose it. Most people know that the powers existing today, particularly in Germany, are opposed to any critical approach to the Holocaust. In fact, the present German government prosecutes such approaches legally. Here then is an answer to the question of why Revisionism is important (Question 2): The German government obviously intends to maintain the present concept of Holocaust with all the official power at its command. One reason for this is the massive political and financial interests of those religious groupings so meticulously described by the US professor of political science N. G. Finkelstein in his book The Holocaust Industry which we strongly recommend to everyone. 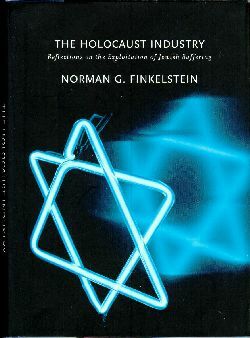 Because of widespread inventions and distortions of the Holocaust, Prof. Finkelstein laments the fact that there aren't more Holocaust skeptics: "Given the nonsense churned out daily by the Holocaust industry, the wonder is that there are so few skeptics" (p. 68). 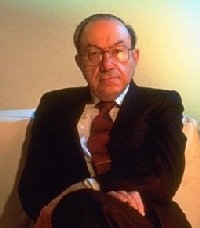 And the late Prof. Raul Hilberg, during his lifetime the leading Holocaust specialist, repeatedly stated that superficiality and inadequate quality control are the greatest problems in the field of Holocaust research. It is clear that Holocaust skeptics are badly needed. If challenging the Holocaust story, we are inevitably forced to contend with the entire postwar order, which was created by the victorious Allies. The very credibility of the victors' version of history is at risk, as the Holocaust is the moral corner stone of their version of World War II history. But this is not just a matter of maintaining a worldwide pecking order of nations or spheres of political influence. For instance, if we look into the war propaganda put forth by the U.S. before and during the wars against Serbia in 1999 and against Iraq in 1991 and 2003, plus when we look into how certain lobby groups have been pushing for a war against Iran since 2005, we recognize a pattern: Slobodan Milosevic, in 1999 leader of tiny Serbia, as well as Saddam Hussein and now Iran's president Mahmoud Ahmadinejad are compared with... Adolf Hitler. Milosevic and Hussein were even accused of committing (or having committed) similar crimes of genocide – against the Kosovo Albanians here or the Kurds there. These claims, among others, were used to justify the wars. And there is no better justification for a war than to prevent a new Hitler – or a new threat to exterminate the Jewish people, an accusation currently leveled against Ahmadinejad. "It is the right and the duty of everyone who seeks the truth to doubt, investigate and consider all available evidence. Wherever this doubting and investigating is forbidden; wherever authorities demand unquestioning belief – there is evidence of a profane arrogance, which arouses our suspicions. If those whose contentions are questioned had truth on their side, they would patiently answer all questions. Certainly they would not continue to conceal evidence and documents which pertain to the controversy. If those who demand belief are lying, however, they will call for a judge. By this ye shall know them. He who tells the truth is calm and composed, but he who lies demands worldly justice." 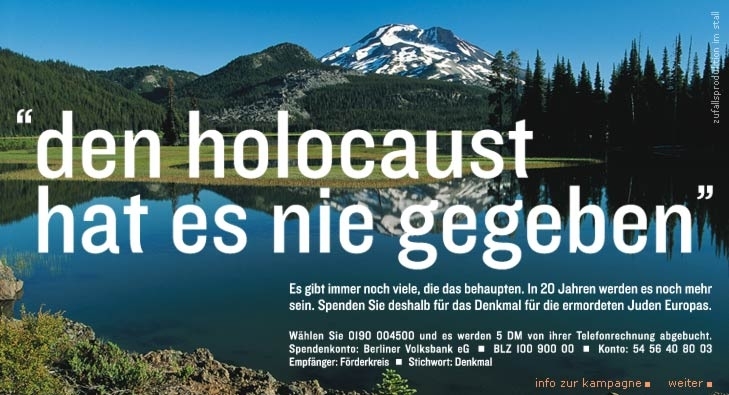 The first phrase in huge letters was meant to be a quote form a "Holocaust denier", but since the explanation underneath it was almost illegibly small and not very clear, the storm of protest that broke out after the campaign with this ad was started brought it to an immediate end. Anyway, this ad made a prophecy: That there would be even more "deniers" in twenty years than there are already today. There are good reasons for the premonitions of these German personalities. Our knowledge of all historical events is increasing with the passage of time. This happens not in spite of the fact that eyewitnesses are dying, but rather because of that fact. Participants in historical events have a personal interest which tends to distort their accounts of those events. Though the general public tend to find it convincing, lawyers rate eyewitness testimony, especially of interested parties, as the least reliable form of evidence: especially so when witnesses confer and are subjected to leading questions, but not to cross-examination. It will not be possible to overcome this tendency of subjectivity and distortion until we no longer have to defer to these persons and their lobby groups, especially when these groups have great wealth and political influence. 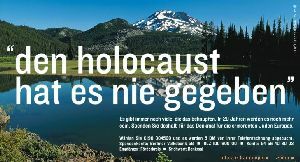 If the ad's statement is true that in 20 years still more people will believe that "the holocaust never happened," then the reason is to be found not in these non-believing people themselves, but in our expanding knowledge about the Holocaust and the diminishing influence of those persons who have non-objective interests regarding the historiography on the Holocaust. What is meant by "Holocaust" or "Shoah?" By "Holocaust" (the Greek word for sacrifice of a burnt offering) as well as "Shoah," which is the Hebrew word for "Catastrophe," we mean the near total extermination of a distinct group of persons through violence. Here we are referring to Jews who lived in areas controlled by the Third Reich. Loss of citizenship, deportation, and incarceration with forced labor, things which have always existed and exist today, should not be included since they do not result in the physical destruction of these groups. In the mind of the public the opinion is often created that simply depriving Jews of civil rights during the Third Reich was part of the Holocaust. But if this were true, then depriving blacks in South Africa until the end of last century, Palestinians in Israel and the territories occupied by it, or the (partial) deprivation of civil right of Blacks and Native Americans in the USA until the middle of the 20th century would also have to be described as part of a Holocaust. Such allegations of mass murder in fast acting homicidal gas chambers followed by disposal of the bodies in adjoining crematoriums, that is, expertly planned and efficiently functioning assembly lines for homicide, are described as having been "unique" in human history. They distinguish the Holocaust from all atrocities that happened heretofore. There is no documentation for the existence of homicidal gas chambers (for Auschwitz see here, for the other camps see the links above), and no material traces of alleged mass murders (see sources given under nos. 4 & 5, especially the chapters about excavations performed in Belzec, in Sobibor, and ground-penetrating radar research in Treblinka (also as YouTube video), as well as revealing air photo analyses (also here)). All the "proofs" rely on eyewitness accounts only, whose unreliability is widely acknowledged (1, 2 and 3 (chapter 4.2., p. 345: "A Thousand Reasons for False Testimonies"). Despite massive observation by spies and resistance groups in areas in the near vicinity of the German concentration camps, all of Germany's wartime enemies conducted themselves as if no exterminations of Jews were taking place. The charges of genocide were not raised until after Germany's defeat, when there was no German government to dispute them (see A. Butz). Statistical investigations of living Jews worldwide show clearly that the losses of this ethnic group during the Second World War were nowhere near six million. Although attempts were made to establish a somewhat accurate figure (see for example the research by W.N. Sanning), the truth is that we simply don't know, as a comparison of revisionist and mainstream research has shown. If you want to read a brief summary of revisionist viewpoints, we recommend our leaflet which you can download, print, copy, and distribute as you like. Furthermore, our Revisionist Archive offers a broad variety of introductory articles available on this website and elsewhere. This photo is typical of a large number of such photos often shown on TV Holocaust documentaries either without commentary or else with allegations that the dead are victims of the Holocaust. In fact, it is a photograph of victims of an epidemic which occurred at war's end. The cause of death is evident from the condition of the corpses. If they had been gassed they would not be emaciated and if they had died of starvation they would have swollen joints and stomachs. Any medical professional will see at first glance that these people died of typhus. 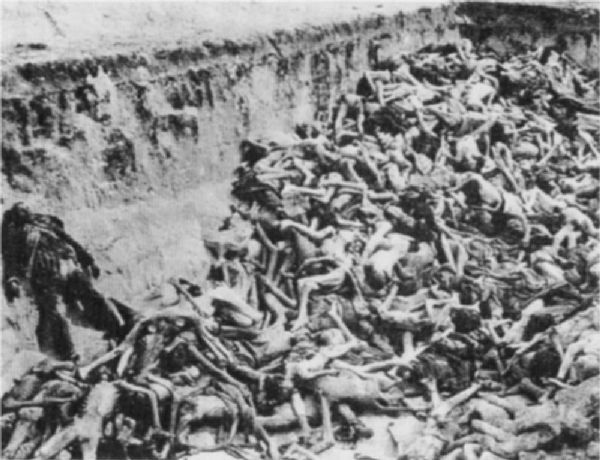 All photographs of heaps of corpses were taken in Western camps around the end of the war, such as Dachau, Bergen-Belsen, and Buchenwald, where historians now agree no mass murders took place. Significantly, there are no such photographs taken at the camps in which mass murder is alleged to have occurred (Auschwitz, Treblinka, Belzec, Sobibor, Chelmno, Majdanek.) These eastern camps were all in areas which came under Soviet control at war's end. It is very telling that the Soviets released no pictures of mass graves or heaps of corpses and allowed no journalists, medical professionals, or other experts to examine the camps. Since the end of the 1980s, Revisionists have been investigating these sites for evidence of mass murder, but the officials have obstructed their efforts by all possible means. In the absence of authentic photographs documenting mass murder, it frequently happens that photographs of those who died in the Western camps at war's end of malnutrition and typhus are presented as evidence of deliberate mass murder. To be sure, the hellish conditions in the Western camps at war's end convinced many Allied observers that mass murder had taken place, as initial reports indicate. In reality, these conditions resulted from a situation for which the German government was not solely responsible. Toward the end of the war, Himmler illogically ordered the evacuation of the eastern camps as the Red Army approached, which led to hopeless overcrowding in the western camps. By that time, Allied bombing had completely destroyed the German infrastructure, making it impossible to supply the camps with food, medicines, and sanitation supplies. Misunderstandings about the causes of the massive die-off continue to this day, especially among Americans. "The shock of these discoveries [of mountains of corpses] often led to false conclusions which turned out to be enduring." There is no denying that a government which imprisons people in camps is responsible for them and so the unjustly imprisoned were therefore victims of the Third Reich, even if they died "only" of disease. However, one should not overlook the fact that by the war's end, mountains of corpses had become commonplace throughout Germany. In German cities there were 600,000 victims of Allied terror bombings. Millions more died of starvation and disease, which continued rampant through 1949. In Eastern Europe some two million Germans were murdered by Serbs, Czechs, Poles, and Russians in the course of history's bloodiest ethnic cleansing. In the POW camps of the western Allies, a million young German men died and millions more vegetated. Hundreds of thousands more were shipped to the labor camps of the Soviet GULag never to be seen again. But the media show only one variety of corpse piles, those in the concentration camps. We should all ask ourselves why this is so. (For more on the misinterpretation of conditions in German camps at war's end see: (1) (2)). Here we are concerned with the historical accuracy of certain allegations and the moral guilt of the so-called German "nation of perpetrators" as well as the consequences which resulted from these allegations. Considered from the point of view of the historian as well as the perpetrators, there is a tremendous difference between being victims of raging epidemics and victims of planned industrial mass murder in chemical slaughterhouses designed specifically for homicide. Epidemics, starvation, and other catastrophes resulting from poor treatment, political mistakes, and military defeats are recurrent in the history of mankind. Here we are concerned with the historical and moral uniqueness of industrial mass annihilation of a specific group of the population. The entire German nation has been held responsible for this unique crime, not just individual perpetrators. This is the source of today's negative treatment of the Germans ("collective responsibility" and "hereditary guilt"). It is also the source of the privileged treatment of the actual or alleged victims of genocide. We strongly suggest you read what Norman Finkelstein has to say on this subject. Does it really matter how many Jews were killed during the Third Reich, since even one thousand would have been too many? Doubtless it is correct that even one is one too many, and really one must go even farther than that: even those measures of Third Reich persecution which did not result in outright deaths were in every respect unacceptable. But this is not a valid argument against the statistical investigation of the 'whether' and 'how' of the destruction of the Jews, and for three reasons. Secondly (and the most important argument): the ethically correct evaluation that even one victim would be too many must not be a pretext for prohibiting scientific research. This is intolerable for the simple reason that science must always be allowed to find precise answers. What would we think of an official who demanded that a physicist not be allowed to determine the exact value of his stress experiment, because even a small value would be bad enough? A physicist subjected to such an absurd demand would quickly arrive at incorrect results and would be a threat to any company that hired him. The same holds true for the historian. If the historian is forbidden to conduct critical investigations because they might be considered morally untenable, then we have to assume that the results of such skewed historiography are unreliable. And since our knowledge of contemporary history exerts a direct influence on politics, our public policies are mistaken and unreliable as well. It is the key function and responsibility of every branch of science to provide accurate figures and values. The principles which hold true for engineering, physics, and chemistry cannot suddenly be abandoned in historiography for political reasons -- unless one is intellectually prepared to retreat deep into the darkest middle ages. Thirdly, and more importantly, the morally correct view that even one victim is one too many cannot on principle be a barrier to the scientific investigation of a crime which is generally called so morally reprehensible as to be unique and unparalleled in the history of mankind. An allegedly uniquely reprehensible crime must be open to a procedure that is standard for any other crime as well, namely that it is - and must be - investigated in detail. I would go even further: anyone who postulates a crime to be unique must be prepared for a uniquely thorough investigation of the alleged crime before its uniqueness is accepted as fact. If a person or group blocks investigation of an allegedly unique crime on grounds of moral outrage, then that person or group is guilty of a unique crime itself. This unique crime consists of first denying defense against preposterous allegations, then disallowing criticism of such tyrannical methods on a pretext of unusual guilt. This was the precise fate of Germany following World War II, with the result that Germans were first brutalized, then slandered and denied opportunity to defend themselves. The treatment of vanquished Germany by the victorious Allies has been truly unique in modern times since the same Allies otherwise allow even the most notorious murderers opportunity to defend themselves in court. As of 2008 the German government had paid some 66 billion Euros (ca. 90 billion U.S. dollars) in reparations to Jewish individuals and to the State of Israel, and new Jewish claims in the order of a billion Euros were made against Germany in 2007 and 2009. But as large as these sums seem to be, the main issue isn't even financial in nature, which can be demonstrated with just one example. According to Wikipedia, in the years 2006-2008 the Germans collectively spent between 70 and 90 billion U.S. dollars every single year(!) during their vacations abroad! (Plus a similarly high amount on top of that during vacations within Germany.) This makes Germany the world leader in foreign tourism expenditures. It is therefore obvious that the Germans spend on vacation every year almost as much as they have paid to victims of the Holocaust and other (alleged or real) persecution committed during World War II. This shows clearly that the burden on the Germans cannot be all that high, financially speaking. So this is not primarily a financial issue. 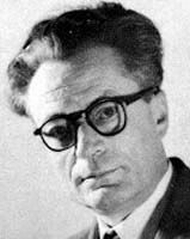 Paul Rassinier, a professor of geography and history, was a French Resistance fighter who spent many years in German concentration camps. 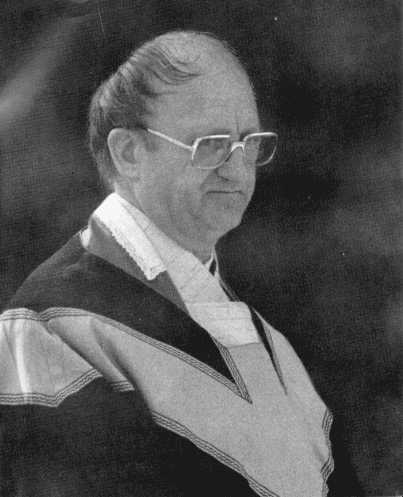 He disputed the misrepresentations of fellow inmates E. Kogon and others and thereby became the founder of Holocaust Revisionism. Since the Revisionists comprise such a heterogeneous group (see no. 10), it is impossible to state what "the" revisionists hope to accomplish. Obviously, any cliché about revisionists must therefore be false and misleading. However, revisionists do have one thing in common: the determination to demonstrate the lack of evidence for the conventional Holocaust narrative and to convince others. Revisionists would probably quarrel endlessly about everything else, particularly if they would try to seek a common political denominator. Thus it is false and misleading to ascribe a uniform political agenda to them. The political views of Revisionists are indeed varied and different. In Australia and Canada, everything that is perceived as offending the Jewish community will be prosecuted by their extra-judicial "Human Rights Commission". In several European countries, however, Holocaust Revisionism is considered to be a serious crime, with the harshest punishment being meted out by Austria with a maximum of ten years imprisonment (under special circumstances even 20 years). As a consequence, Holocaust Revisionists in Canada, Australia and these European countries have been punished with large fines and prison terms since the middle of the 1980s, and particularly since the 1990s, for no other reason than disputing the official version of the Holocaust, both orally and in literature. The courts and the media join forces to slander nonconforming critics and scientists as "Auschwitz Deniers" or "Holocaust Deniers." However, if we look into the legal situation, we must insist that theoretically, Holocaust Revisionism should be perfectly legal in all these countries. This is so because all these nations signed the United Nations Declaration of Human Rights, which makes these Human Rights binding on all these nations. Freedom of speech can be limited only in cases of insult or incitement to criminal acts, but freedom of scientific research and peaceful speech can never be limited – theoretically. For this reason, a recent comprehensive German doctoral dissertation on the "Punishment of the Auschwitz Lie" (Die Strafbarkeit des Auschwitz-Leugnens) came to the conclusion that Holocaust Revisionism itself cannot be legally repressed, as this violates basic human rights. The facts are different, though. So how is that discrepancy between ideal and reality excused? As a justification for this blatant violation of civil rights, it is often claimed that revisionist views, even if presented soberly and without any inflammatory words, could instigate people to commit illegal acts against others (mainly Jews) or could even threaten "the public peace." Purely factual, soberly presented claims, however, can never cause such acts, be they as controversial and taboo-breaking as they want. If people overreact to such texts, the problem lies within those people – their upbringing or social conditioning – or within society itself for having created a taboo in the first place. The claim that matter-of-factual views about the persecution of the Jews itself could be inflammatory is therefore a simple lie. If that method were to be applied universally, it could be misused for the prohibition of each and everything, if only some influential group can be found that feels sufficiently upset or unsettled by it. In fact, the concept of "the public peace" is a perfect authoritarian tool to suppres any controversial view, even if it is legitimate. The only rule needed for governing free speech is this: Everything is permitted, as long as one does not call for, promote, condone or justify the violation of the civil rights of others. Since all acts that really threaten the public peace, like calls for a violent revolution, insurrection, putsch, riot, pogrom, ethnic cleansing, etc, are at once calls for the violation of the civil rights of others, the concept of "the public peace" becomes obsolete and can no longer be misused by the authorities to stiffle legitimate peaceful yet controversial views. This perversion of logic does not require any further comment. Hence we are dealing with "democratically" enacted, yet tyrannical laws permitting the majority to suppress a peaceful minority, plain and simple. It is therefore not Holocaust Revisionism which is unlawful, but the laws which outlaw it. The best, fastest, cheapest place for this is the Internet and, especially for English speakers, the websites www.codoh.com, www.ihr.org, as well as www.vho.org. If your service provider blocks these pages (obvious proof of censorship), you can circumvent Big Brother with help of the cost-free service provided by various anonymizing services, which hide the content you are requesting and receiving from you internet service provider, so they won't withhold it. On www.vho.org, practically the entire revisionist body of literature is at your disposal, either directly or through links to other websites. On every page of website www.vho.org, there is a tab called "Index" on the menu, through which you will find name, language, and subject indices.